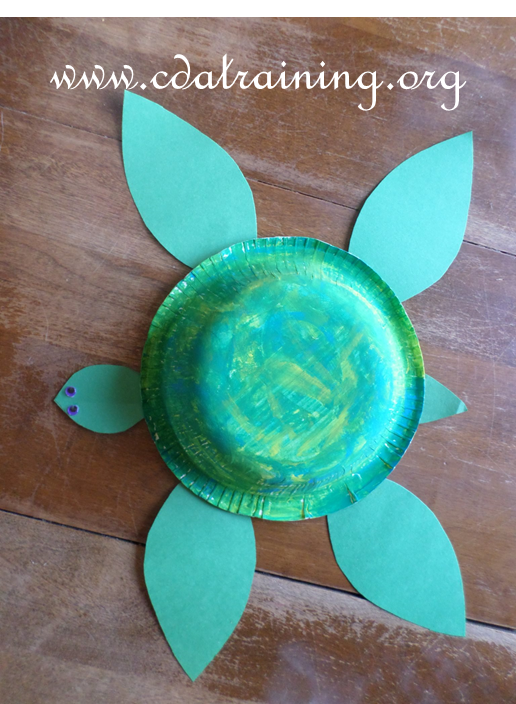 Directions: Give each child a paper plate to decorate on both sides. Have them fold their paper plates in half and put a cotton ball in the middle. Give each child a paper bag to decorate. Encourage them add googly eyes to the bottom part of the bag for eyes. 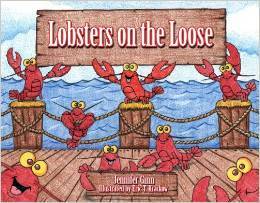 Then assist the children in cutting from the top of the bag up to the bottom to create tentacles. Directions: Paint toilet roll and let dry completely. 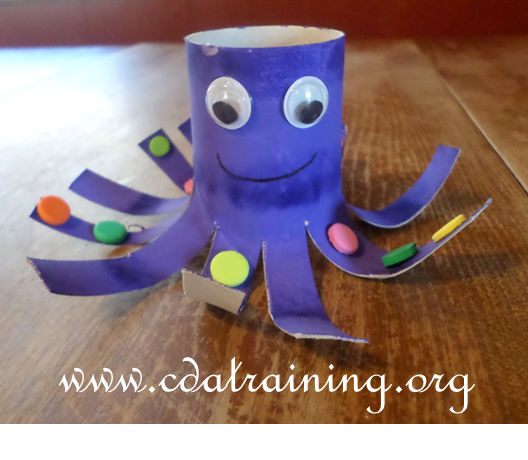 Cut half way up the toilet paper roll multiple times to create the tentacles for the octopus. Glue on eyes and foamies and add details with markers. Octopus fact: Octopus have 6 arms and 2 legs that are called tentacles. 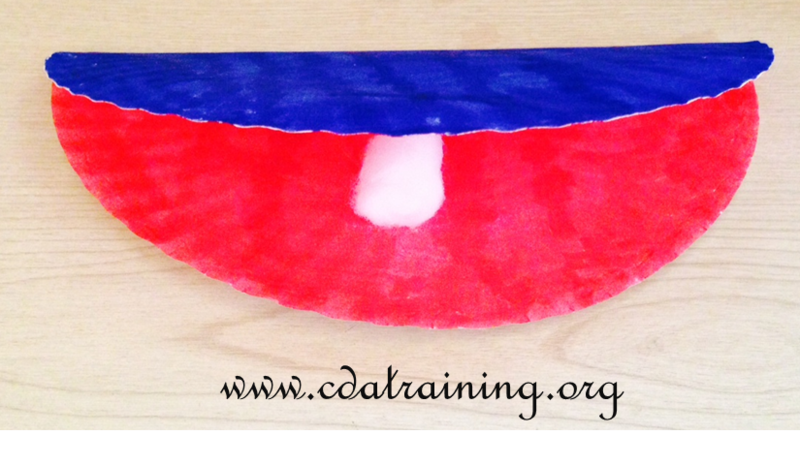 Directions: Cut out a shape closely resembling a half-circle. Glue several strips of ribbon or yarn on the straight edge of the jellyfish with the ribbon or yarn hanging down from the straight edge. Or punch holes along the straight edge and tie the ribbon or yarn onto the jellyfish. 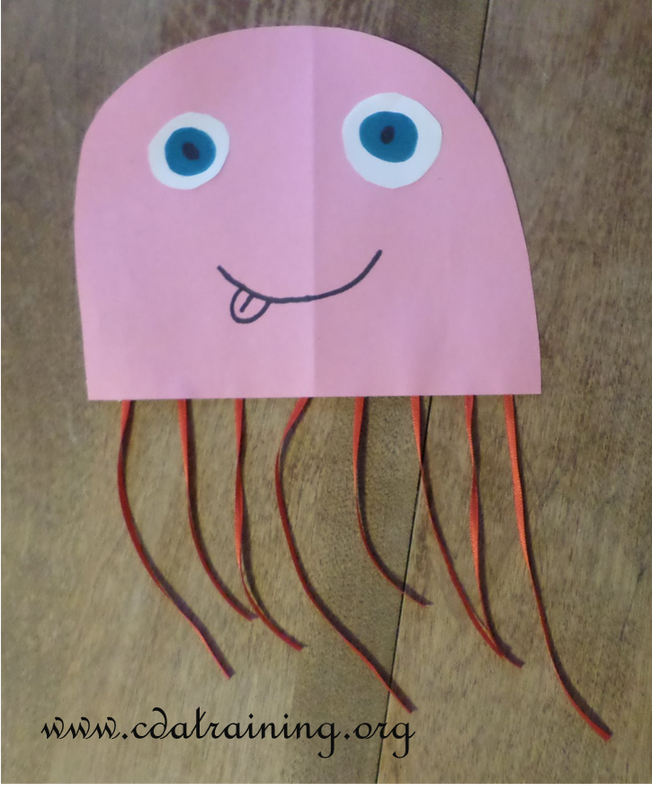 Add facial features to jellyfish with markers, construction paper, and/or googly eyes. 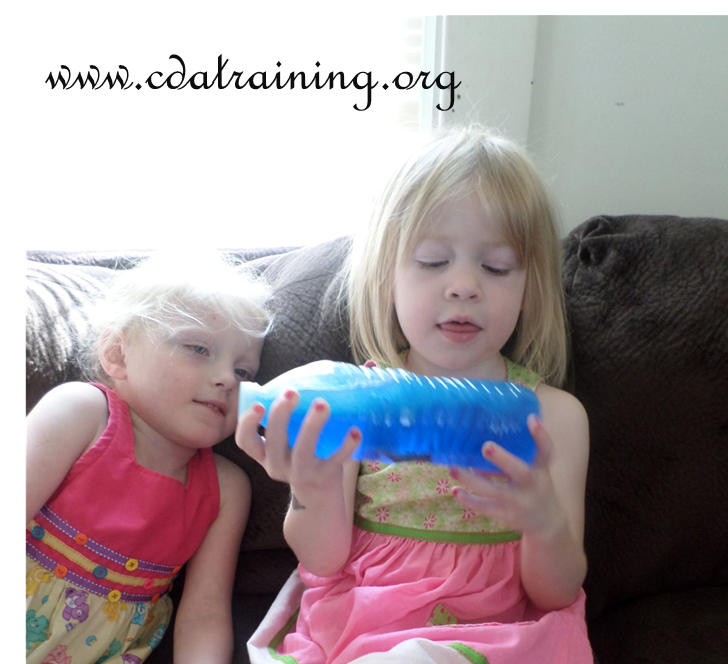 Fill bottle 2/3 full of water and add 5 drops of blue food coloring. 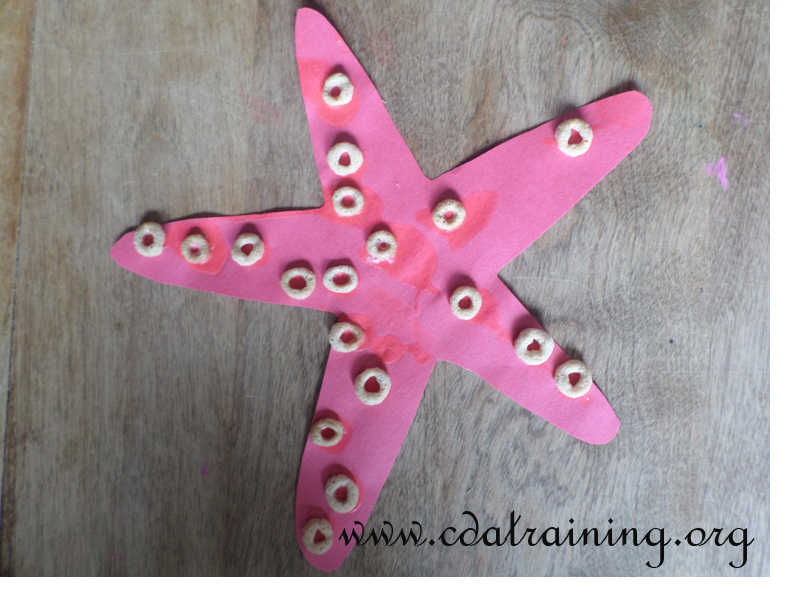 If using sand, glitter, shells, or foamies add to water. Cover bottle with lid and gently shake up. Remove lid and add oil almost to the top of the bottle. Apply glue to the inside of the lid and screw onto the bottle tightly. Turn bottle on its side and gently rock and forth to create ocean waves. Paint or stamp hands into paint. Press painted hands onto paper with palms side by side. Add details with paint or markers. Scrunch up scraps of paper into loose ball shapes and put inside of paper bag until bag is two-thirds full. Tie off the bag with a rubber band or chenille stem. 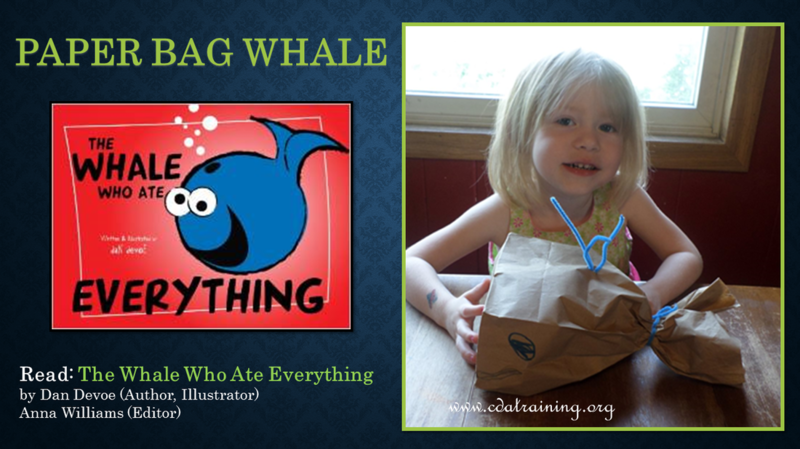 Use a marker to color the paper bag and to add eyes and a mouth. Poke a small hole into the top of the whale and add a few chenille stems for a spout. Optional: Paint bag blue and dry completely. Directions: Paint outside of paper bowl and let dry completely. Cut out a head, tail, and four flippers from green construction and glue on to the inside rim of the bowl. Glue on googly eyes. 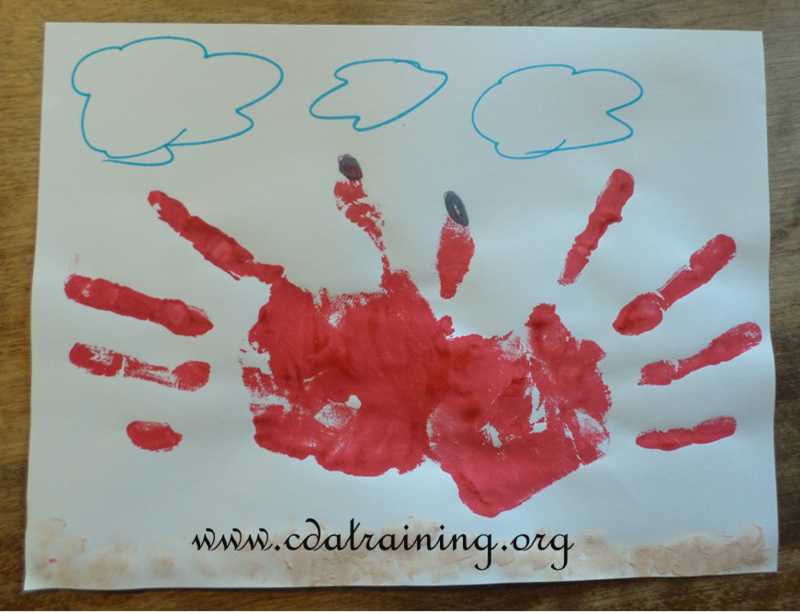 Paint hands red and press down onto top of paper with fingers pointing towards the top of paper. 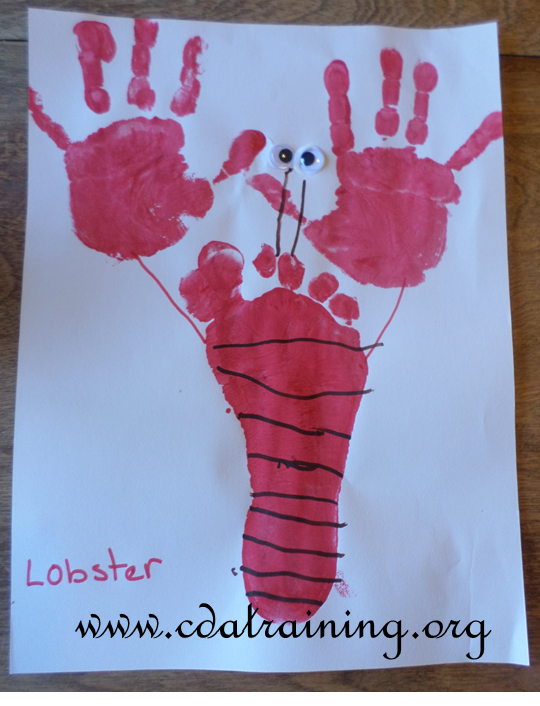 Paint one foot and press down near the bottom of paper (can go either direction). Glue on googly eyes and add details with markers.